Check out Tobi's Stay Cozy Fuzzy Sweater Heat things up with the Stay Cozy Fuzzy Sweater. Long sleeve sweater with fuzzy, eyelash texture. Wear over skinny jeans and sneakers or a skater skirt and booties. Heat things up with the Stay Cozy Fuzzy Sweater. 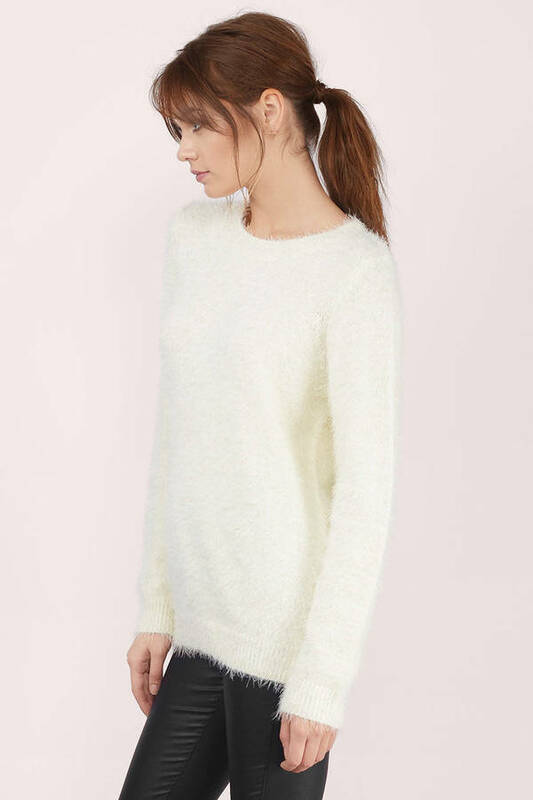 Long sleeve sweater with fuzzy, eyelash texture. Wear over skinny jeans and sneakers or a skater skirt and booties. Black, Plum, Ivory modeled on a size Small.